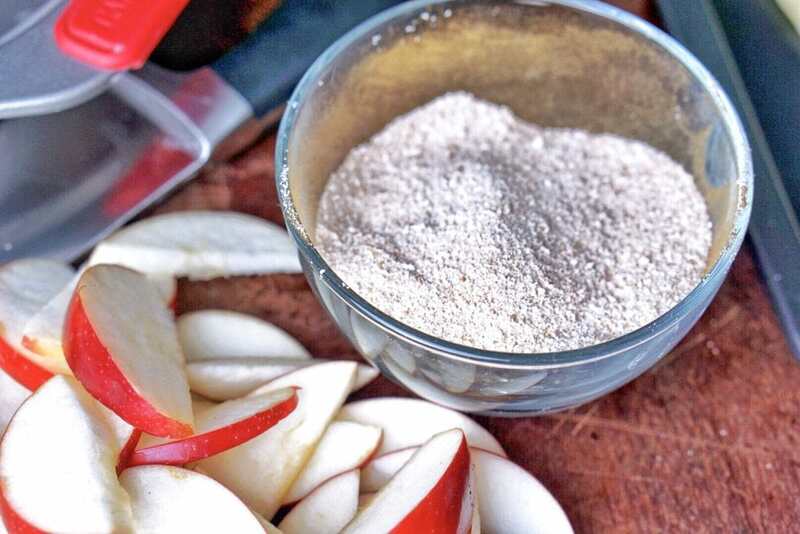 Craving apples and cinnamon this season? These baked Crescent Roll Apple Dumplings are super easy to make and taste like homemade apple pie! This post is brought to you by Stevia In The Raw®. All opinions are my own. Who doesn’t love a good apple dessert? I love the fall flavors of apple and cinnamon, and make as many recipes as I can with the combination during the autumn season. Apple pie is the classic, but let’s be honest— who has time to bake an entire pie? I have a simplier version of the classic apple pie recipe that’s made with a few basic ingredients…and has less calories, too! 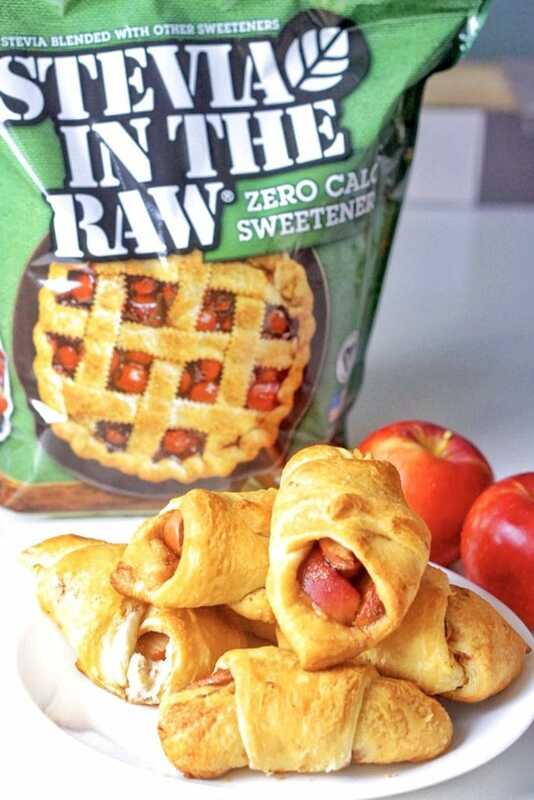 Just as the name suggests, these apple dumplings are made with crescent rolls. I think crescent rolls are the ultimate baking hack because you get the same rich, buttery flavor of a pie crust without any extra work. And my secret for cutting back on calories? Stevia In The Raw® zero-calorie sweetener. Stevia in the Raw contains extracts from the sweet leaves of the stevia plant and it’s a fantastic sugar substitute when you want to cut back on calories and sugar. 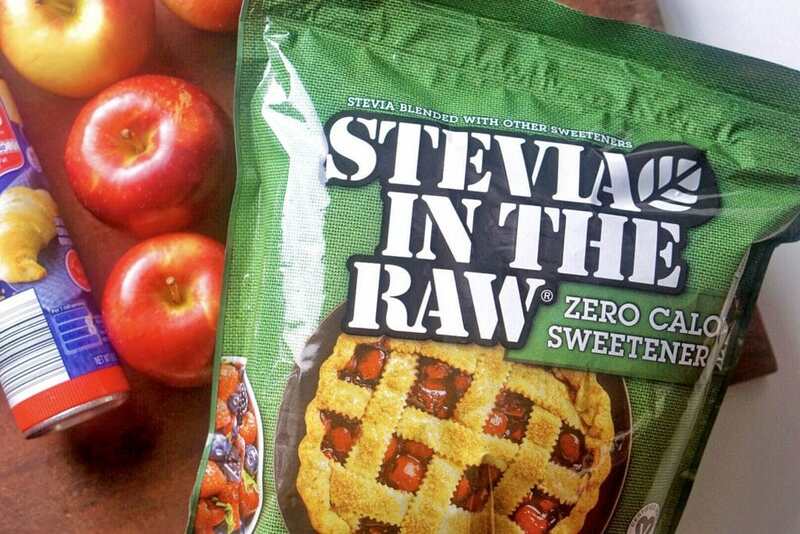 I’ve found that the Stevia In The Raw® Bakers Bag is a great sugar substitute in baking as it replaces sugar cup for cup — Stevia In The Raw can save up to 700 calories for every cup of sugar that it replaces! 2. Mix sugar in a bowl until combined. 3. Cut apples into thin slices, you can remove the skin if you prefer. 4. 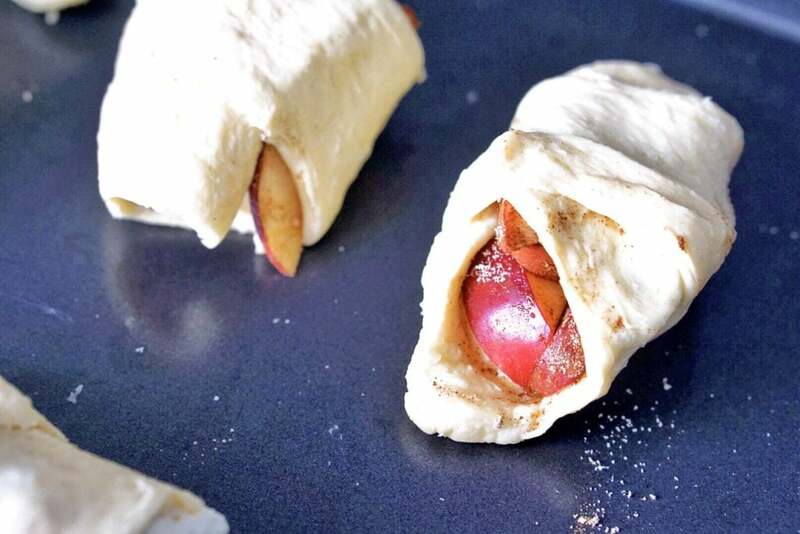 Roll apple slices into Stevia-cinnamon mixture. 5. Separate crescents and lightly butter each one. 6. 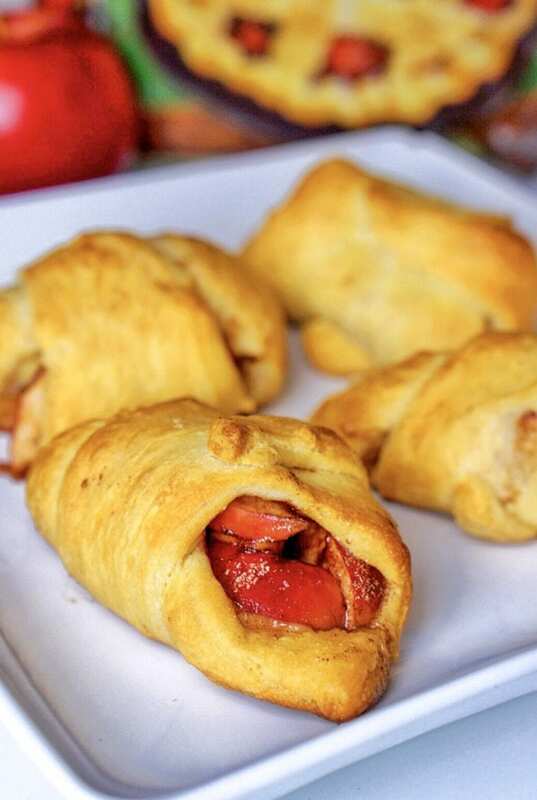 Place 6-8 slices of apples on top of crescents. Optional: Top with a tablespoon of cream cheese. 7. Roll crescent around apples, forming a small pouch. 9. Optional: Brush butter on top of dumplings once removed from the oven. Cut apples into thin slices, you can remove the skin if you prefer. 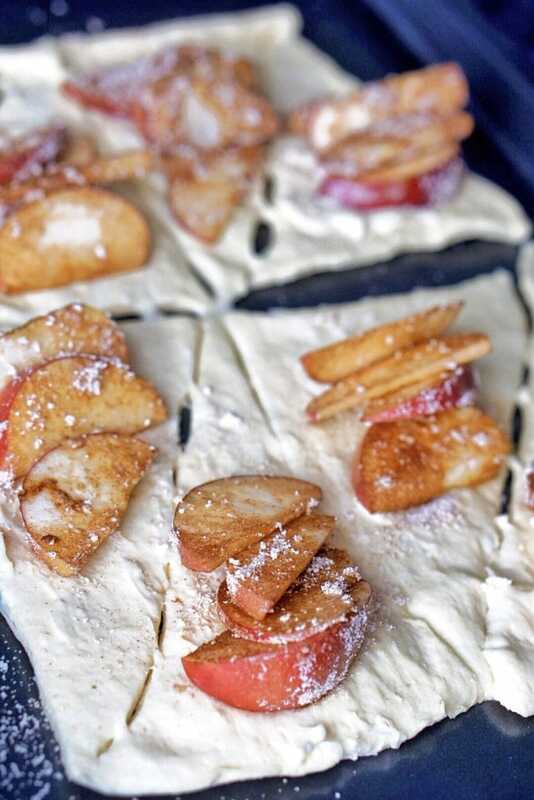 Roll apple slices into Stevia-cinnamon mixture. Separate crescents and lightly butter each one. Place 6-8 slices of apples on top of crescents. Optional: Top with a tablespoon of cream cheese. Roll crescent around apples, forming a small pouch. Optional: Brush butter on top of dumplings once removed from oven. You can use regular sugar in place the Stevia, as well as a mixture of 1/4 cup sugar and 1/4 cup brown sugar. 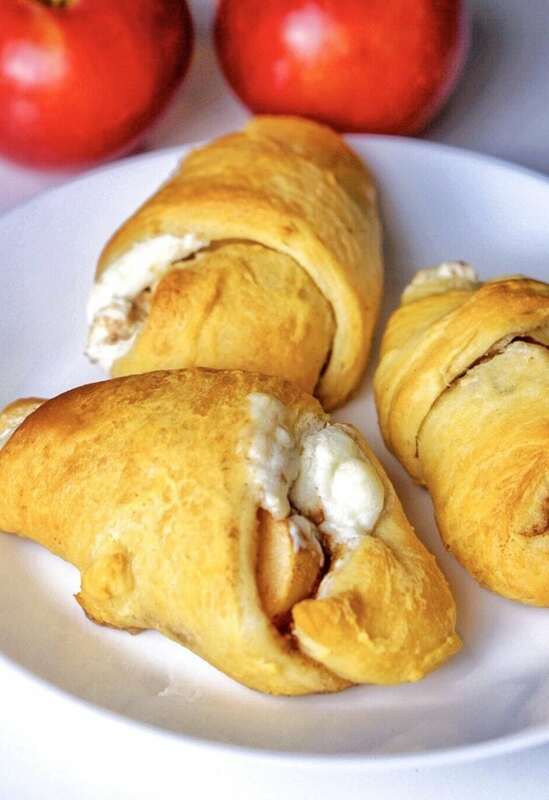 These easy apple dumpling crescent rolls are so good right out of the oven! You can also serve this dessert warm with ice cream or chill and enjoy as a breakfast pastry. 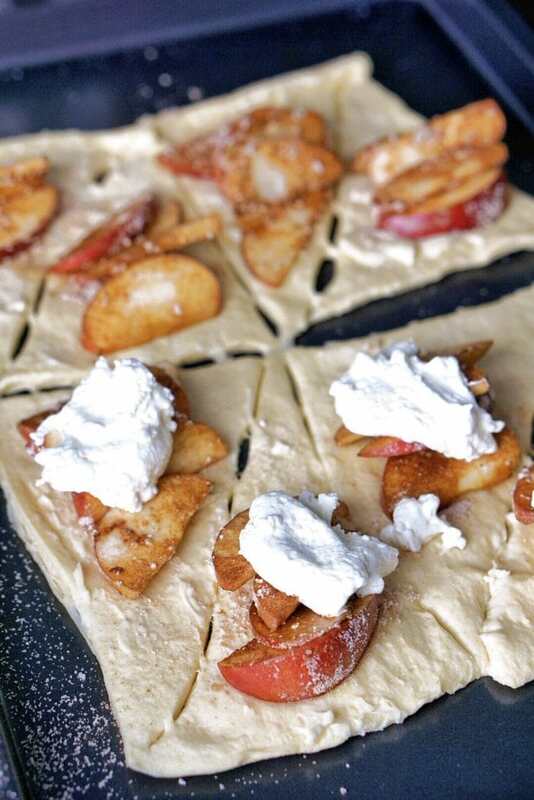 I adore the apples only and cream cheese versions equally, so I make four of each every time I prepare this recipe. Neither lasts long in my home! These looks absolutely delicious!! I cannot wait to try them! Yum!